Chances are, you've probably been dreaming of your wedding day since you were a little boy or girl. You may even have the perfect dream wedding completely planned out in your mind–but I'd be willing to bet your dreaming didn't include the part where someone has to pay for everything you picked out! It's easy to get carried away with planning all the fabulous details without giving a thought to cost, but eventually, you'll have to face reality. Do you know who’s going to pay for what at your wedding? Traditionally, the bride’s family picks up the tab, but with the average cost of a wedding skyrocketing and more couples getting married later in life, these traditional roles are far from set in stone. Our biggest piece of advice for couples who are just beginning their wedding planning journey is to figure out their wedding budget and who is paying for what. You should know how much money you have to spend before you go spending it. 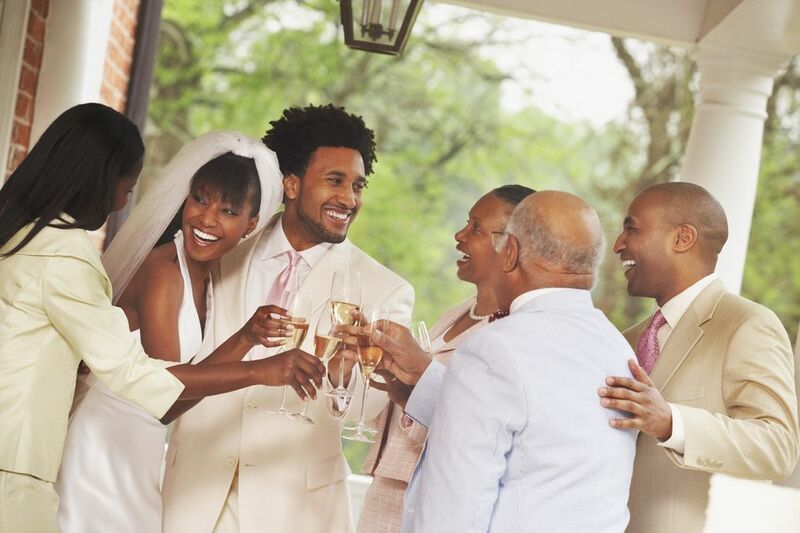 If the bride and groom are older and more established, or their parents are unable to foot the bill for their own financial reasons, the couple may opt to pay for all wedding costs themselves. One great thing about this as an option is that you will get to call the shots. When someone else isn't contributing to the wedding budget, they don't get to make any decisions about how you spend your money. In this scenario, the bride’s family, the groom’s family, and the bride and groom themselves each pay for one-third of the budget. Typically, this means they will also each invite one-third of the guests. This option is nice because it lessens the burden on everyone, but you may have to bend to your parents' wishes on certain things since they are paying for a portion of the events. After announcing their engagement, the bride and groom sit down and estimate what they’ll likely need to spend on the wedding, probably after finding a reception site and making general decisions about theme, style, time of day, guest list size, etc. They then approach their parents and after describing what they’ve decided on so far, say gently, “We were wondering if you would be able to pitch in for any of the costs.” The parents may look at the budget and say, “We’d like to pay for the reception food and the flowers” for example. They may also offer a set amount they’ll contribute. If their parents say they can’t afford to contribute, or only offer a small amount, the bride and groom say, “Thank you for considering,” and perhaps have to revise their budget or find creative ways to pay for the wedding. This can also help you if you don't want your families weighing in on every decision you make. Going to them with a game plan and asking them what they would like to contribute towards is a great way to ensure your decisions aren't influenced by the ones holding the purse strings. No matter what you decide about who is paying for what for your wedding, it's important to be on the same page with any contributing parties. Setting expectations and confirming these details ahead of time will help keep conflicts to a minimum and everyone on the right track! Best of luck with your wedding planning!